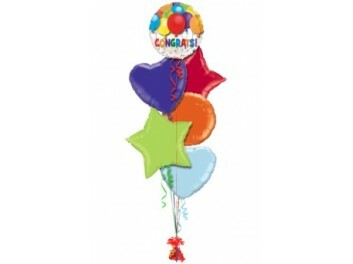 Balloons for all occasions. New birth, birthday, get well soon, congratulations, Valentine's and Christmas. Whatever the occasion, Grooms have you covered. 18" Foil Birthday Balloon with Helium..
18" Foil Happy Birthday Balloon with Helium..
18" Happy Birthday Mum Balloon with helium..
18" heart with kiss , foil balloon with helium.. Arrangement of 5 latex balloons..
18" Pink Heart Shape Foil Balloon..
18" Star Shape Foil Balloon..